A great way to start a collection. 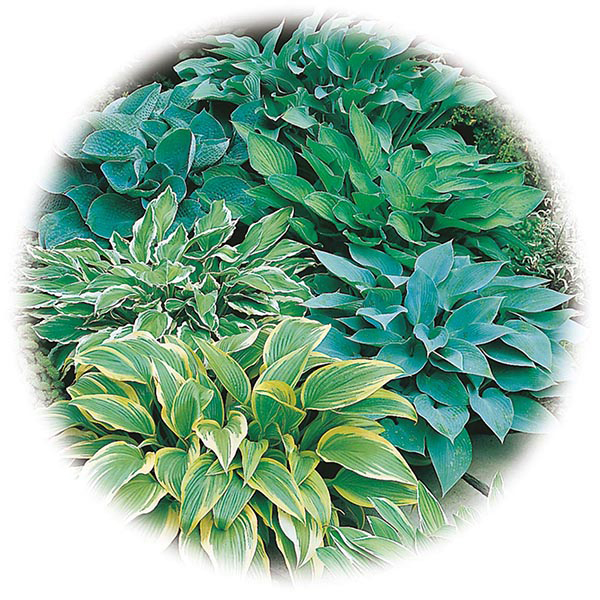 Contains differing heights and leaf colours, some with contrasting markings, providing foliage from late spring and attractive flower spikes in summer. GROWING INSTRUCTIONS: Sow thinly, November-March, in trays of seed compost. Cover seeds with a fine layer of compost and firm gently. Cover tray with glass, polythene or propagator lid. Keep moist and maintain temperature at 10°C (50°F). Seedlings appear after 30 days. Exposure to lower temperatures may enhance germination. Remove cover when seedlings appear. When large enough, transplant singly into peat pots of compost and grow on at 10-13°C (50-55°F). Harden off, end May (avoid frosts), then transplant, approx. 45cm (18”) apart, to flowering position. Keep moist and weed free at all times. Flowers: June to October. Protect young plants and leaves with slug deterrents.